Merry Christmas to all! My hope is that all of you enjoyed a beautiful day with family, friends and special people in your lives. I know so many are throwing out trees and "un-decorating" but we like to enjoy Christmas a little longer. So Christmas music is still playing and we will probably pop in another Christmas DVD later tonight. 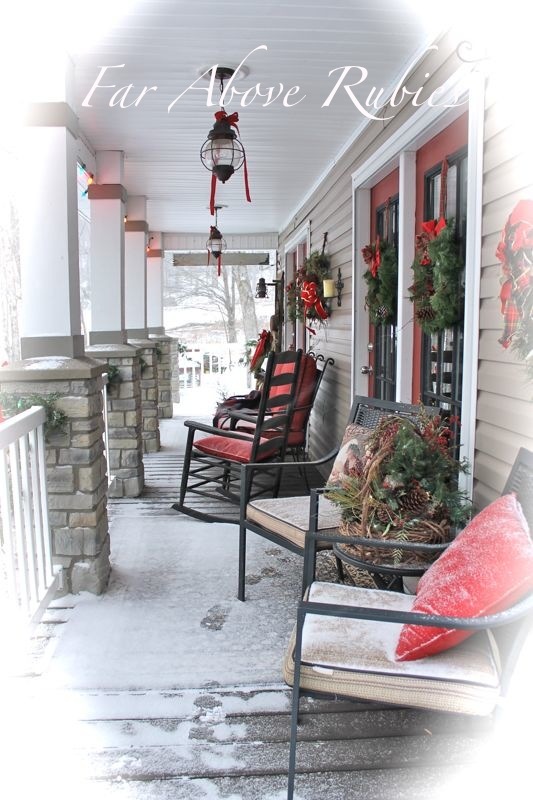 Although it's raining today, we did get a little snow last week so I wanted to show you the porch. 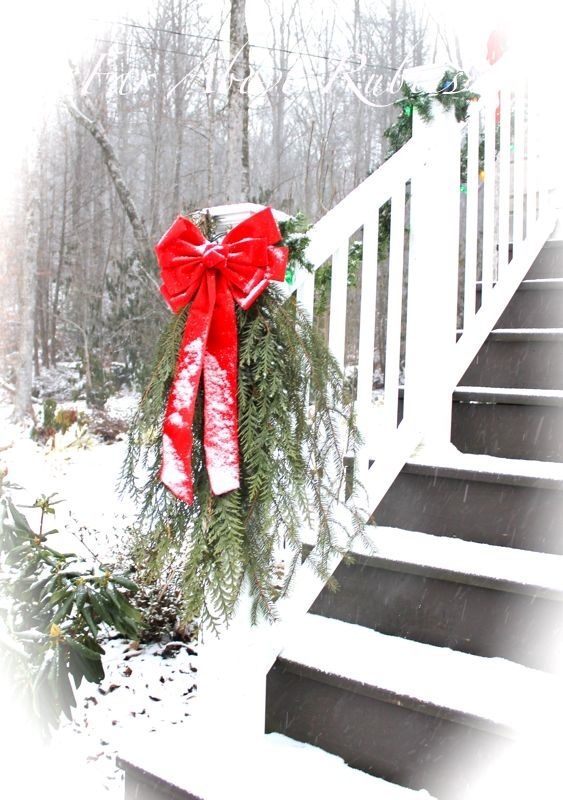 My grandmother always gathered these boughs of greenery with a red bow, and I do the same. I traded the white lights for big, colored bulbs outside this year and we love it. There's nothing that says vintage more than big, colored bulbs! Please come join me for conversation over on my facebook page! So beautiful! Should be on the front of a post card :) Happy New Year! Gorgeous photos Anita. I couldn't bear to take Christmas down so soon. We had such a wonderful Christmas with our both of our daughters home. Just put our oldest on a plane home early this morning. Anita, these pictures are postcard perfect! 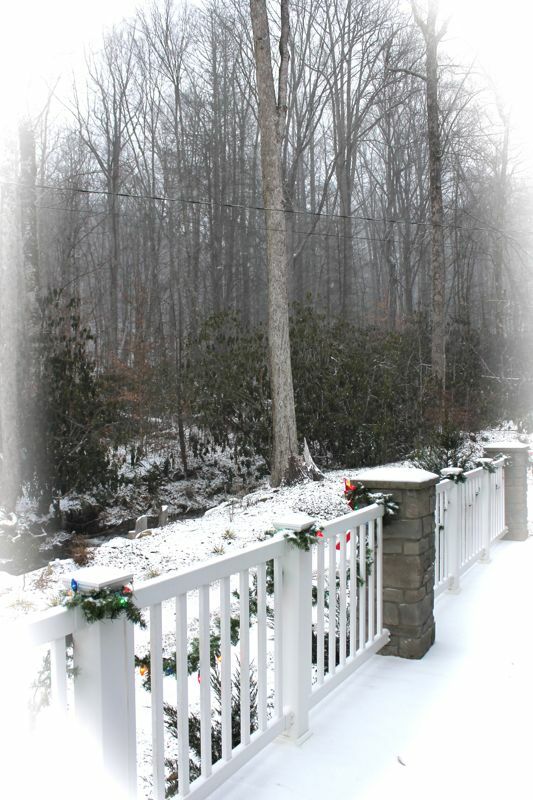 We got snow for Christmas for the first time in many, many years! It was a welcomed treat! 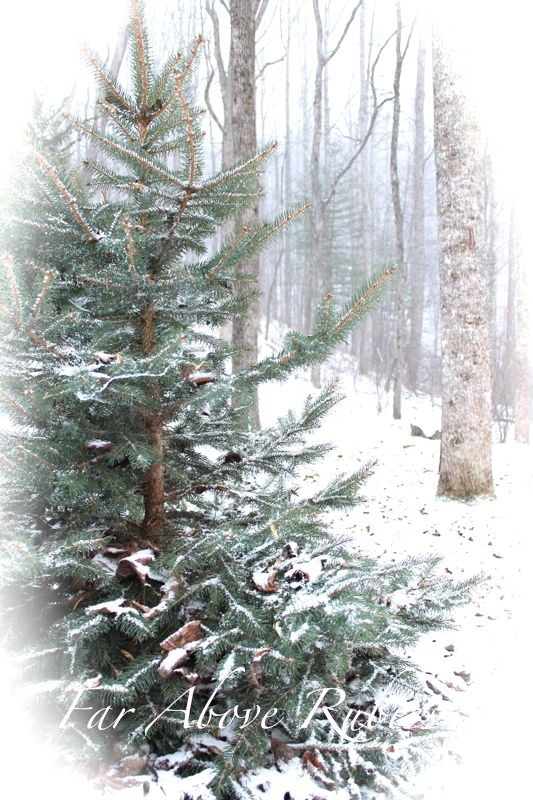 I wish you and your family the best for the remainder of this Christmas season! You shouldn't have to even THINK about your Christmas card for next year! Just beautiful! Breathtaking images! 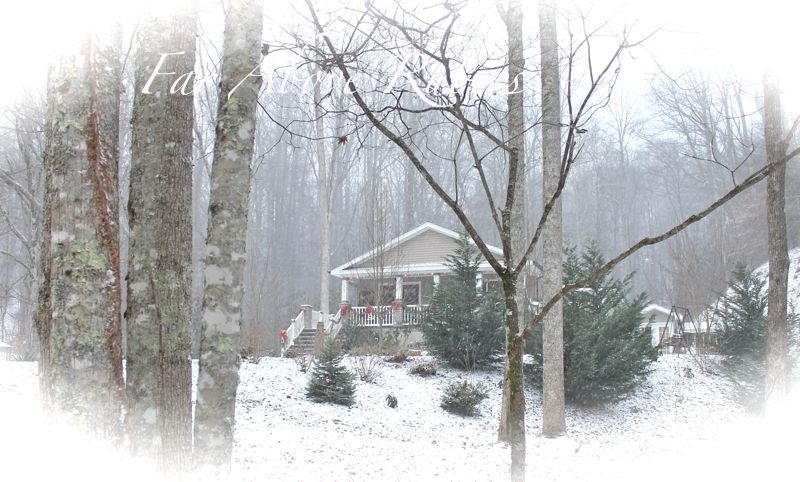 Your house looks like the set of a romantic movie inside and out. It really does. Love your blog. Those are beautiful pictures, Anita! Thanks for sharing! Your house should be in a magazine Anita!! Everything is so beautiful!! I am so glad you had a wonderful Christmas! LIke you, I am stretching it out for a few more days. Christmas music is still playing and we will watch movies through the weekend. I like to keep the season going for as long as I can! I love the porch. The greenery and red bows are perfect with all the white trim. I use the bigger colored lights too. Beautiful porch, I love it. Your kitchen is so cozy also. I hope you will stop by my blog to check it our and join me to read about a Missouri girl's farm life. 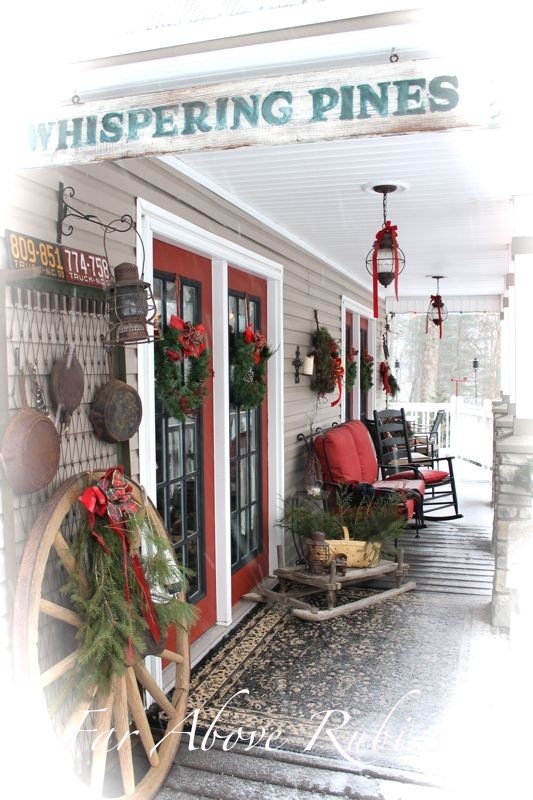 Your property and porch are beautiful! 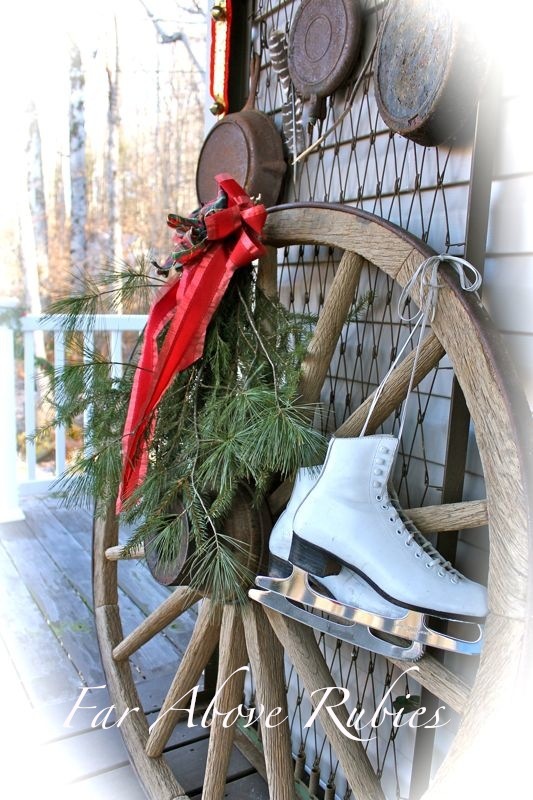 I especially like the wagon wheel with the skates and the generous porch with all the seating. Wishing you all the best in the new year. oh my, how beautiful is this....love everything...big colored lights (I took all my little white lights off my tree and next year, colored lights, like long ago)...love the red bows....love everything on your porch.....so warm, cozy, inviting, welcoming...looks like you could live in this home and enjoy (not for show only)..........awesome! Anita, just saw this new post. We also keep our decor, tree up for Little Christmas, and don't take down immediately.We are enjoying our holiday movies, Christmas in Connecticut , Dennis Morgan, Barbra Stanwyck, Bishop's Wife, Hallmark movies I bought family for Christmas. 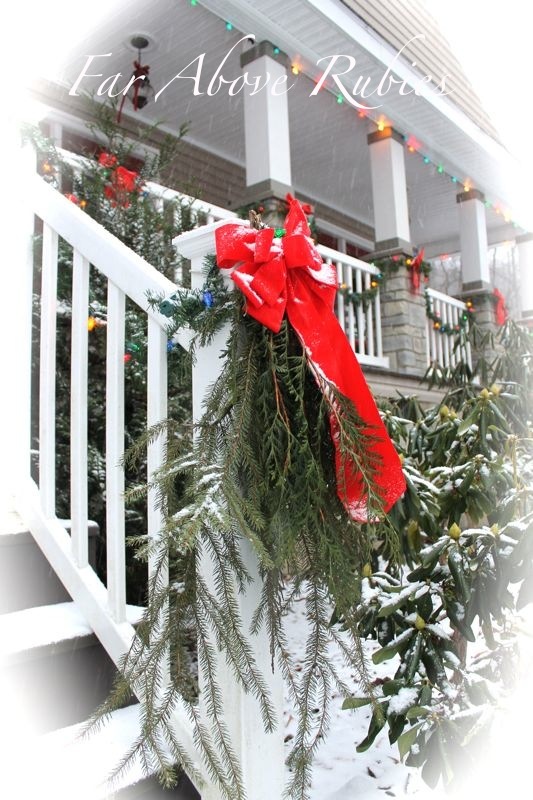 Beautiful greenery sprays, red bows, just wonderful timeless decorations,bless you all in the New Year, your family, music ministry, and your good works for others.Hugs. We also keep our decorations up for awhile. At least our tree stays up until the Epiphany on January 6th. However, unlike others, our tree wasn't up until the middle of December so it hasn't been there that long! 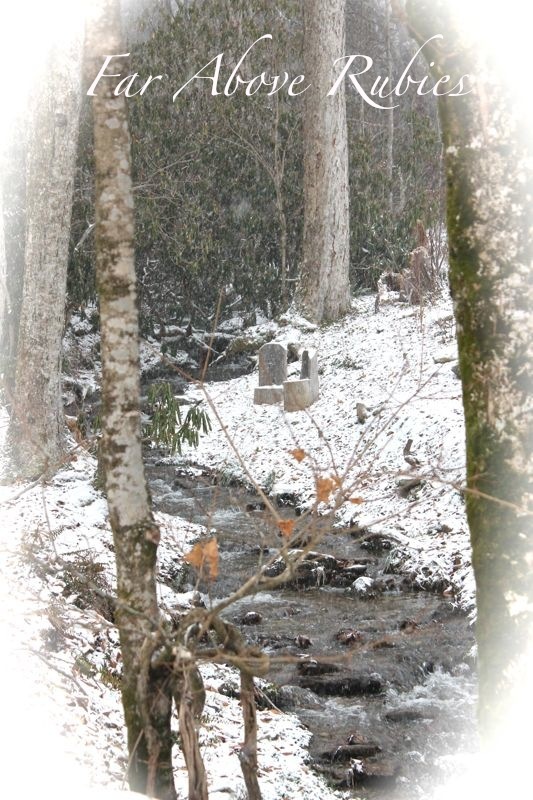 We finally got our snow on new year's eve. It was one of those pleasant snows where it gently falls and all is well. 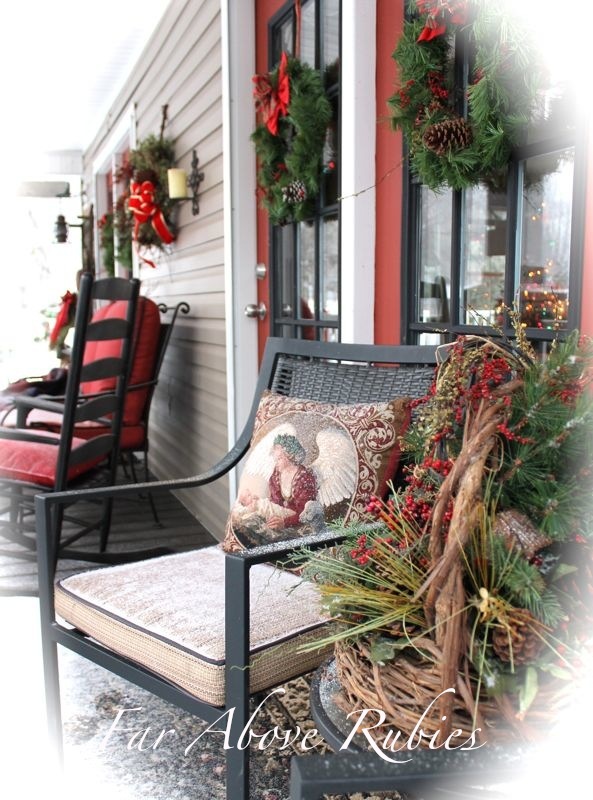 Your porch is so very pretty! Love what you did to it. May you have a prosperous new year in 2013 and may your music ministry grow by leaps and bounds.